Home issues are quite common and we have to face it when we least accept it. And only few of us know how to repair broken shower or to repair stove and other electronics like AC, geyser. Here we brings you Best Handyman apps Android/ iPhone 2019 which will provide you all professional services in few clicks. Opus Labs presents you best Handyman app Android 2019 and this app will connect you to the service provider of your need. This app will enable users to search for and find and get connected with the service provider of your need. Have this great app now! This is great app by Infinity InfoSolutions and this app will provide you all type of home maintenance services. With this app, you will get all your service done in few clicks. This application will provide you service like beauty and spa, wedding and event management, home design and construction, moving homes, tutor and chapter, health and fitness, business and taxes, home cleaning and repair and many more. This app will also provide you services for electronics and appliances repair. Here you will get your own yoga instructor also. This app also has feature to provide you service for photography, interior designing, counsellors and also provide you service related to tax consultant and many more. 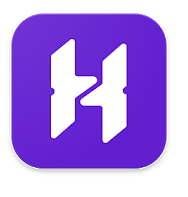 This app is one of the best handyman app iPhone 2019 and this app will connect you to skilled taskers in order to tackle home services and errands around town. This app will help you in all task which includes cleaning home, furniture assembly and moving home and many more. This great app will provide you expert and understandable advice for all your home issues. This app will also save your money when you improve and repair your home yourself and will allow you to feel the proud of independence.Have it now! Here presents you great handyman app by Degen and this app provide you opportunity to run the coolest handyman’s shop in your personal town. This is excellent game where you need to join with Michale and need to prove yourself in order to keep an excellent handyman. In this game, you will find tons of people who are waiting to be brought your superior services. Here in this game, you need to assist your younger buddies in number of projects such as restore ceiling fan problems, restoration the angry machine, refrigerator, air conditioner services and many more. You also need to find out the trouble in the stove and need to resolve it. This game provides you features like clients calls. In this game, you have to find different issues in the machine and repair the fireman truck. This game is build with unique concept and it is best educational game which provides your kid lesson about how different tools work. MINHS brings you this handyman app which is professional maintenance service. This app is professional maintenance and repair service company which provide handyman services to residential and small to medium commercial businesses. This app includes handyman services like painting, door and window installation, drywall patch and repair, junk removal, furniture assembly, appliance installation, gutter maintenance, minor electrical and plumbing. This app also provides you service of power washing service. Install this app now and this app will handle any of your home or small business projects needs. This is another great app by Grepix Infotech and this app is one stop destination for all professional services. This app will help you to hire professionals in order to get things done which matters in your life. Have this app and hire most trusted services. This application will provide you service like beauty and spa, wedding and event management, home design and construction, moving homes, tutor and chapter, health and fitness, business and taxes, home cleaning and repair and many more. This app will also provide you services for electronics and appliances repair. Here you will get your own yoga instructor also. This app also has feature to provide you service for photography, interior designing, counsellors and also provide you service related to tax consultant and many more. Try this great handyman app now and get done you work in few taps only. This is great mobile app which provides handyman services. This app is for sample and demo. This app will enable users to search for and find and get connected with the service provider of your need. This app is for person who owes handyman Service Company or is going to have same. This app will connect them with clients. Have this great app now! This app is an exclusive facility management service application and this app is designed to be a total solution or service provider for all people who are looking for building management and other associated services via a single window. This app is free and simple to use. This app will take all your worries related to handyman to attend your job and this app will function as call centre facilitating communication with our service providers effectively and will also save your time. This app is one stop destination for all professional services. This app will help you to hire professionals in order to get things done which matters in your life. Have this app and hire most trusted services. This application will provide you service like beauty and spa, wedding and event management, home design and construction, moving homes, home cleaning and repair and many more. So these are Best Handyman apps Android/ iPhone 2019 which will provide you all professional services in few clicks. Hope this article helps you. Please like, share and also feel free to share your experience with above apps.